An essential component of internet-based communications is the digital photograph. Nearly every website incorporates the use of images as a means conveying information and emotional messages. The adage by Fred R. Barnard remains true and relevant today: A picture is worth a thousand words. So some things never change. But, what has changed is how you can display collections of images. With technologies like HTML5 and devices like the iPad, you can now create attractive interactive slideshows that incorporate video-like transitions like dissolving from one image into the next. 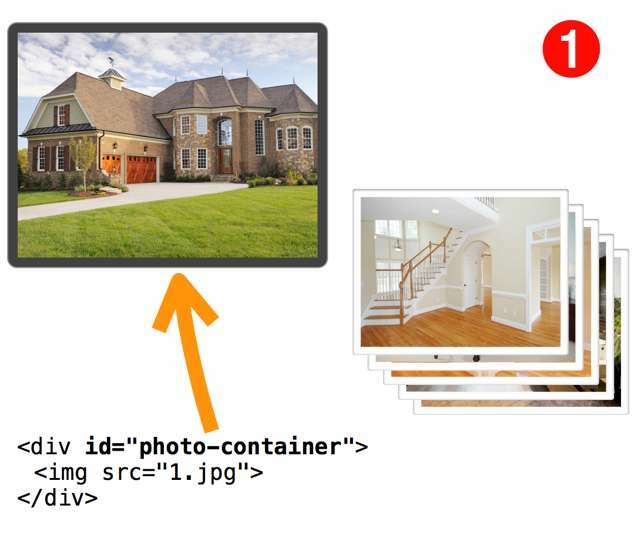 This article will explain the structures and methods used to create basic HTML5 slideshows with transitions, ideal for displaying your images with flair! 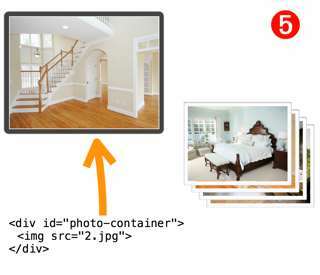 Next, the script assigns CSS classes to the slideshow container and each of the images it contains. These CSS classes define the initial states and properties of the elements prior to applying the transition. The transition effect is triggered by changing the CSS stylesheet class of the container to a second CSS stylesheet. 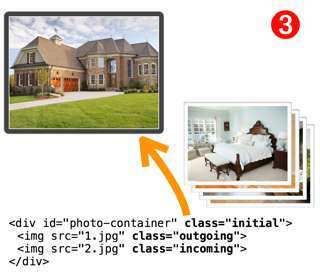 When the container style class is changed, the browser applies the indicated transition type (in this case a cross-dissolve) to the image elements in the manner and timing described in the CSS classes. 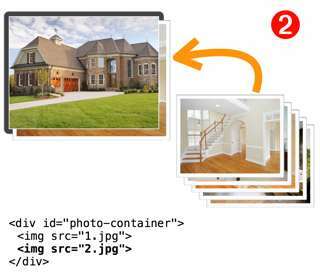 When the transition has completed, the script cleans up by removing the original image from the container and resetting the slideshow container back to its default state (no assigned class). The result is an attractive transition between the two images and the slideshow is ready for the user to proceed to the next image. 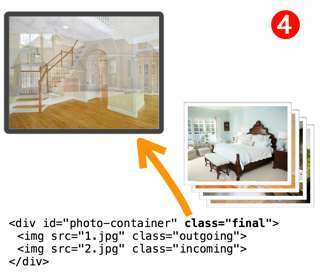 These steps are repeated each time the user activates the slideshow trigger. Make sure your images are named numerically and in sequence: i.e. 1.jpg, 2.jpg, 3.jpg, 4.jpg, etc. That’s all that is necessary to have a slideshow with CSS transitions! Here is the source code for the cross-dissolve example.